Made in rhodium plated sterling silver, STATEMENT pieces evolve over time. We advise you to frequently clean up your silver pieces with a silver polishing cloth, such as the one provided with your STATEMENT box. Clean up your diamonds delicately with a very soft small brush in a lukewarm water and wipe it with a soft cloth. All orders placed from Monday to Friday are processed the same day. Your STATEMENT creations are shipped from Paris with the purchase invoice and the certificate of authenticity. All the jewels are insured by us until their delivery. Shipping costs are offered, learn more about our terms and deliveries. The delivery rate does not include any customs duty or import tax which you will have to paid yourself at the time of the withdrawal of your parcel. Orders can be returned within 14 days of purchase for a refund. The items must be returned in their original condition and packaging. 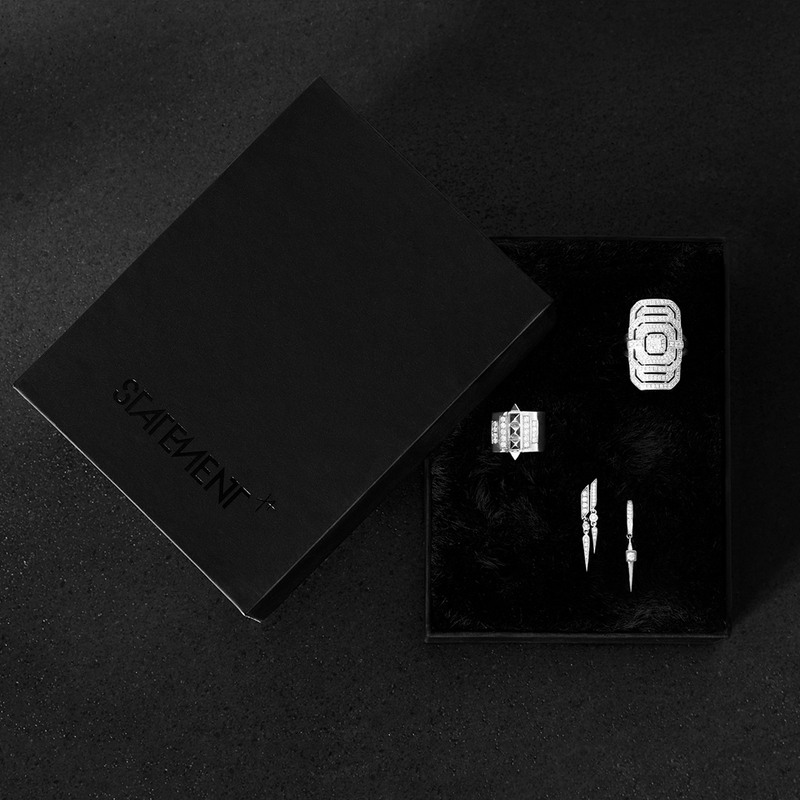 We conceived the STATEMENT case as a jewellry box of your own, long-lasting and personal. The inside reveals lush black faux fur. Your rings, earrings or necklaces will cosily curl up in there without colliding. Technical problem, please try again. 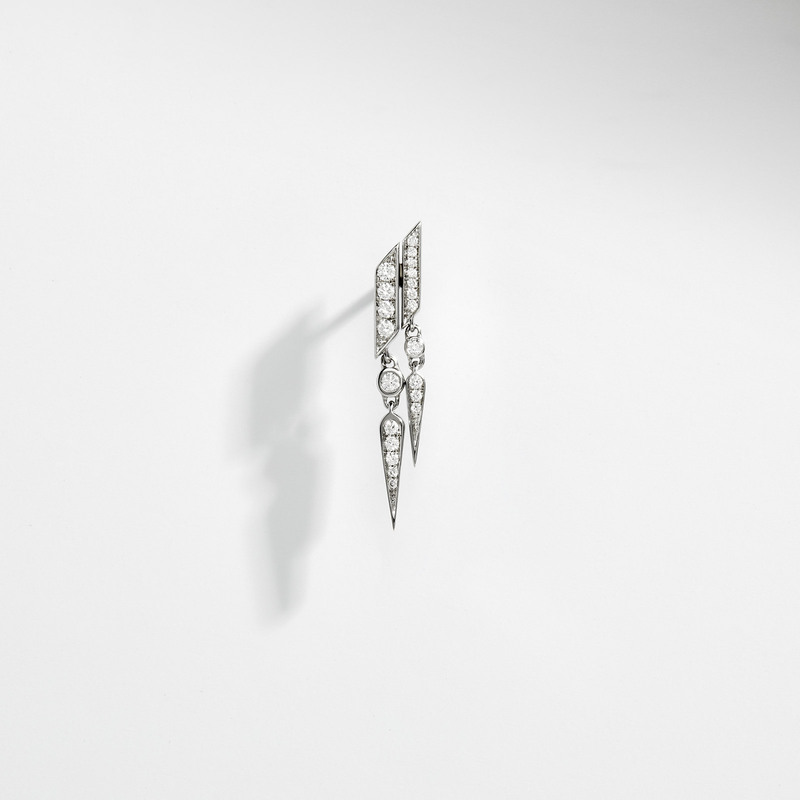 The product Earring ANYWAY_04 has been added to your cart. You will be notified by email as soon as it is available again. Please update your web browser for a better navigation on the Statement website. To update your browser, click here.